Brandywine Heirloom tomatoes are dark red in color and can grow to 1 1/2 pounds on indeterminate plants. Brandywine was first introduced by Amish farmers in Pennsylvania and named after the Brandywine River. They have a sweet, rich tomato flavor. Outstanding Features: Very disease resistant and easy to grow. 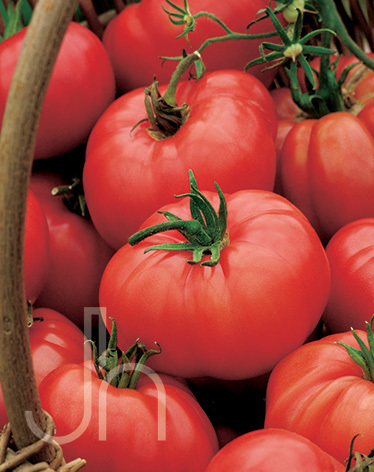 Click here to buy Brandywine Tomatoes direct from www.buygardenvegetables.com.